I’ve been dying my hair for a good few years now, and although I only do it once, maybe twice a year, I can still see the damaging effect it has had on my hair. Generally my hair is quite dry anyway and over recent years I’ve noticed just how damaged it has become. The fallout rate is shocking and I’m constantly worrying that I’m going bald! 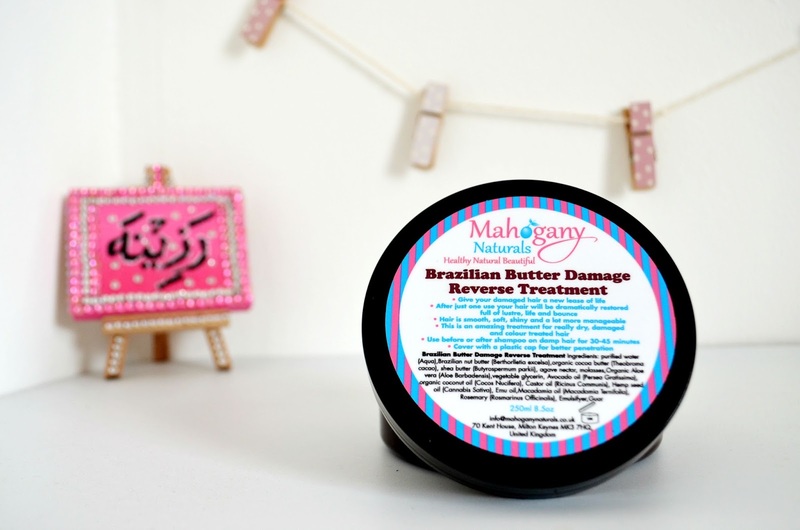 I was recently, very kindly, sent Mahogany Naturals Brazilian Butter Damage Reverse Treatment to try out. Not sure whether it was my distraught tweets that helped this opportunity along but I was very grateful all the same. I wasn’t given any specific instructions on using the product so I thought I’d go ahead and try it and if it worked I could perhaps use it on a weekly basis as a hair mask. The packaging is a big round tub which is easy to twist open. I love that the ingredients are clearly labelled on the top of the product so you’re able to see all the goodness that has gone into making this treatment. 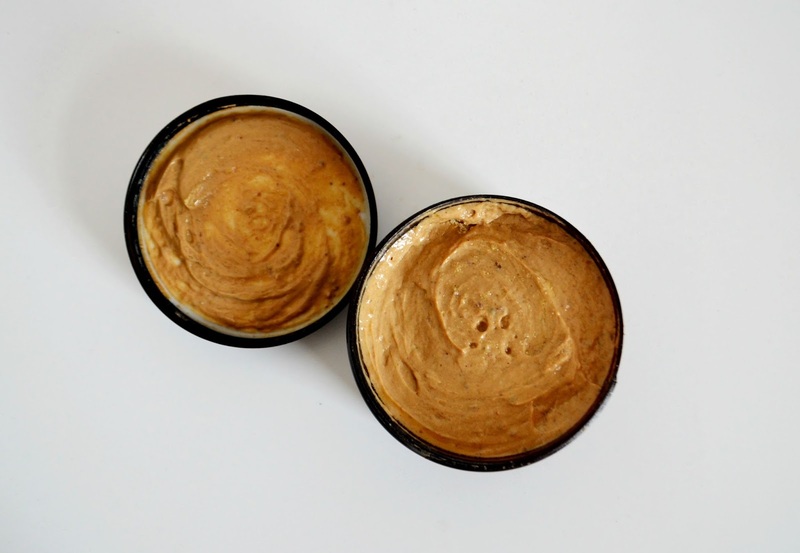 On opening the tub, you can straight away smell the strong scent of the hair treatment which is kind of like cocoa butter but a little less sweet and a bit more…sour? Still, if this was going to be the miracle product I needed, I wouldn’t complain. The texture of the treatment is quite thick and you’ve got to work it in to your hair a little bit to cover it all but it doesn’t take too much effort. It’s not slimy or gooey so it doesn’t make too much of a mess either. I spritzed my hair with some water to get it damp and then slathered a generous amount into my hair. After waiting 45 minutes (yes I did kind of got distracted scrolling through Instagram) I washed it off. It was really easy to wash out and there was no lingering smell left on my hair which was great. Now for the good bit, the results for the damage reverse treatment were….surprisingly brilliant! My hair felt nourished and a lot less frizzy. I straightened my hair the following morning and this is no exaggeration, my GHD’s were gliding through my hair. Usually it’s a long tedious process but this wasn’t the case any more. I decided I would definitely continue using the product and I managed to finish the entire tub in under two months. This made me both sad (because I had run out) and super excited as I’d finally have found something that helped my dry, damaged hair. By no means is this product a miracle cure, but it’s definitely the closest thing I’ve found to help give my hair some extra shine and calmed my frizzy mop. Have you tried any Mahogany Naturals products?